Jill, A Brown Belt nia teacher offering classes for all levels of fitness and mobility. Passionate about creating spaces of inspiration and connection to self, others and life. Inviting you to connect to mind, body, spirit and emotions for a full experience of the moving through form and freedom and connecting to music and the magic within. offers, classes, workshops and retreats on a range of movement and healing topics. synergistic class that no isolated exercise technique can match. into your own joyful journey with Nia, and positively shape the way you feel, look, think and live. No previous experience necessary. 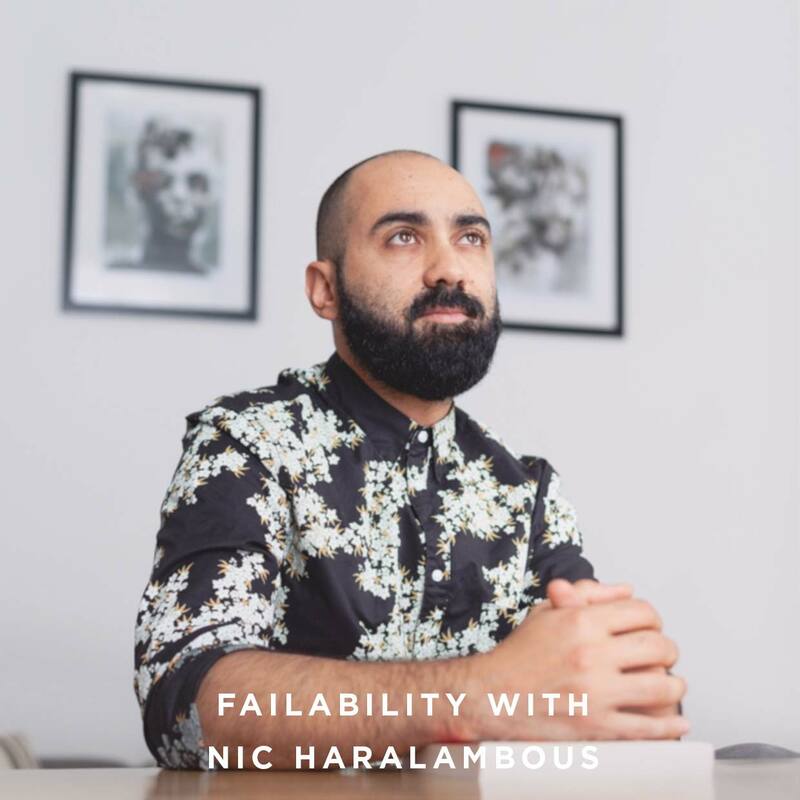 Nicholas Haralambous is a habitual entrepreneur, published author and speaker. He is one of the founders of the cryptocurrency platform, Coindirect.com and is the founder of the popular style company, NicHarry.com. Nic was the CEO and co-founder of Motribe, the mobile community platform, before the company was successfully acquired in 2012. He also founded ForeFront Africa consulting firm before selling the business to Imperial Holdings. His entrepreneurial career proudly includes at least 10 failed startups. Nic started his first business at 16 and recently published his business biography: DO. FAIL. LEARN. REPEAT. Early in his career, Nic put time in at some of the largest media and telco companies in Africa including Mail & Guardian, Financial Mail, 702 and Vodacom. 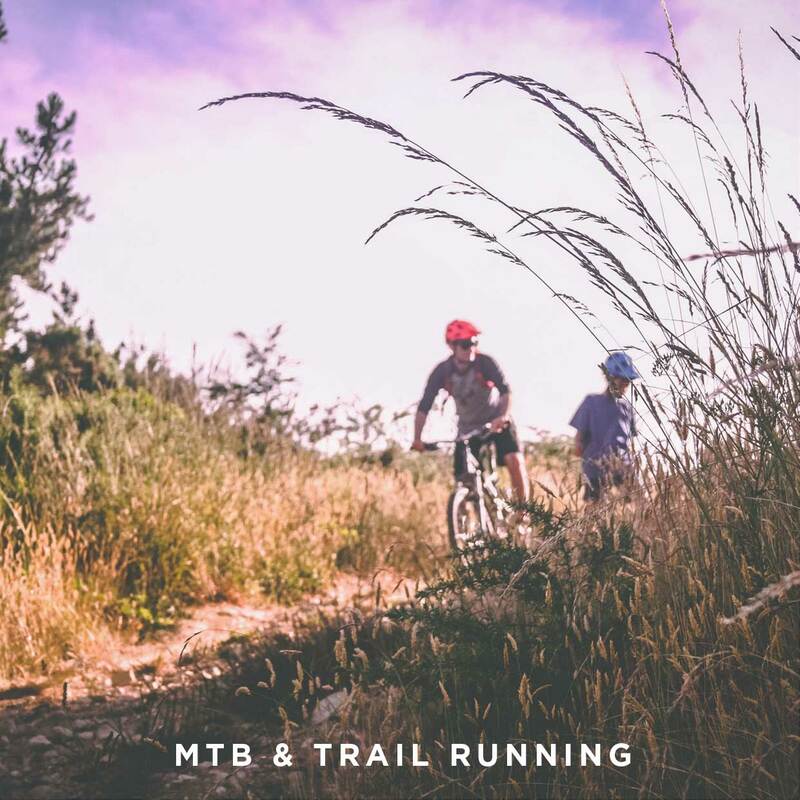 The beautiful Elandskloof Farm boasts 10km and 18km routes, suitable for trail running and mountain biking. The start of the trails are within close proximity to the festival area. 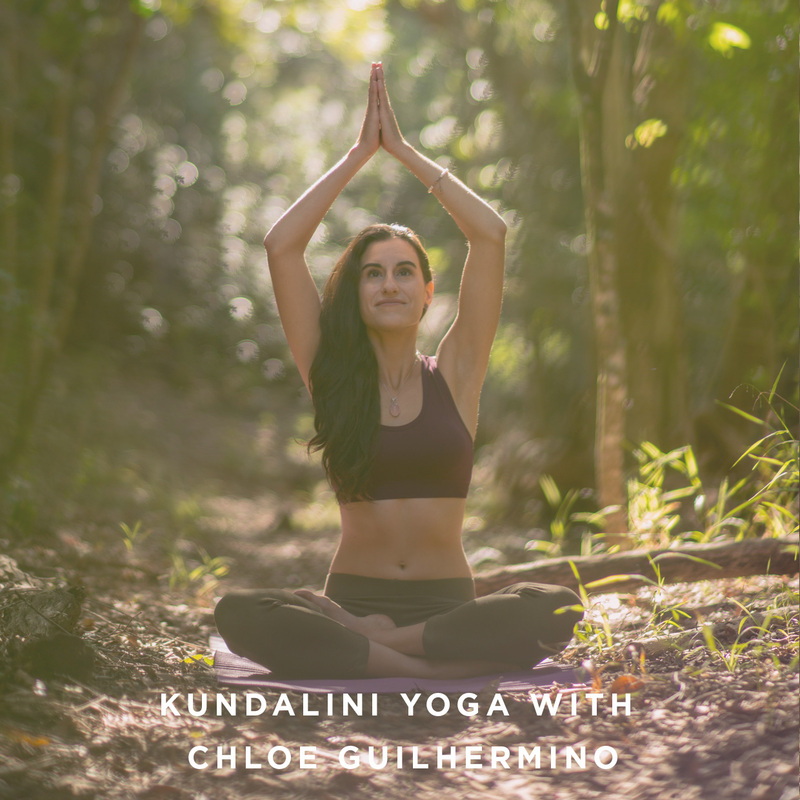 Chloe Guilhermino is a qualified Kundalini Yoga Teacher and Nutrition & Weight Management Coach. Chloe has been practicing yoga for over 6 years and has been teaching full-time for the past 3 years. Chloe is passionate about the power yoga has to help awaken our true potential as human beings and is passionate about sharing these teachings of self-empowerment and transformation. Chloe is the founder of Chloe Yoga, an online yoga education platform that provides an Introduction to Yoga eBook, yoga workshops and online classes. Growing up in Cape Town, I was exposed to this beautiful city every day (tough life, I know). Now after coming back from traveling the globe extensively while working on yachts for four years, I appreciate it even more for all that this city has to offer! 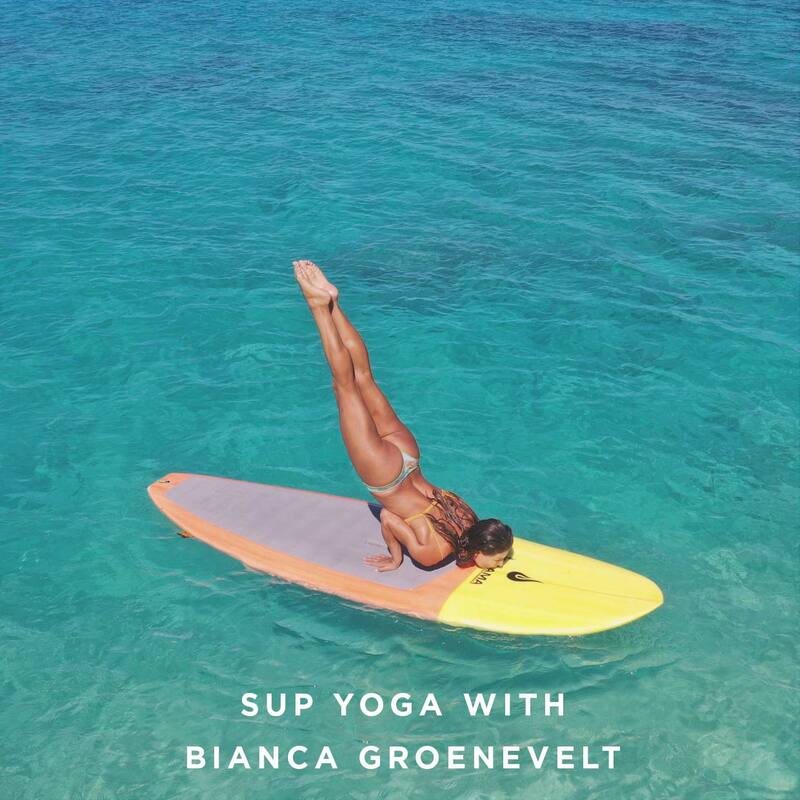 I have been practicing yoga for several years and through my travels have studied, taught and embraced many different styles of yoga, most recently qualifying as a SUP yoga instructor in 2014. Stand Up Paddling has become a passion for me, with so many disciplines, it keeps you fit & excited about the sport. From touring to down-winding, wave surfing to flat water racing & yoga, it’s a hobby for everyone. I now offer group and private classes from beginners to the more practiced Yogi. I believe in living a healthy and balanced lifestyle and thrive on helping people find that for themselves! Music and play are central to Lara’s practice, she has an essence of fun that runs through all that she is, she motivates a dance through this journey of life, punctuated with the essence of Praṇā (breath). She is a student of life bringing an openness to her practice that encourages the exploration of individual truth. Her practice inspires one to open their heart and mind, letting the world go, while being mindful of the present moment. To be in a room with her is to delight one’s spirit to be in a class is to let that spirit soar. Lara completed a 200 hour Vinyasa Teacher Training in 2011, 200 hour Forrest Yoga Training in Chicago in 2012, an advanced teacher training with Patrick Creelman in 2013 and various modules of an advanced teacher training with Ben Shimon Avi in 2017 as well as countless workshops, intensives and yoga modules with both international and local teachers. She runs a yoga retreat business, as well as part of the team at The Shala, that leads teacher trainings and advancing teacher intensives. Come and be treat your Mind, Body and Soul to a Deep Dreaming Sound Journey led by Vanessa and Steve Mazabow. A deep meditative inner healing journey with various sacred and mystical instruments, intuitively guided to accommodate the collective frequency and needs of the group. Our main instruments are didgeridoo (made from mystical black hemp), and Mayan Temple love flute, but also magical Turkish Panpipes, African Kalmiba, Hang Drum, Tibetan bowls, Native American Flute and various percussion instruments. Vanessa sings a combination of original songs and devotional mantras, bringing in healing and therapeutic energies. As we begin the journey, hold in your field an intention you want to send more harmony into, and let the sounds guide the way. 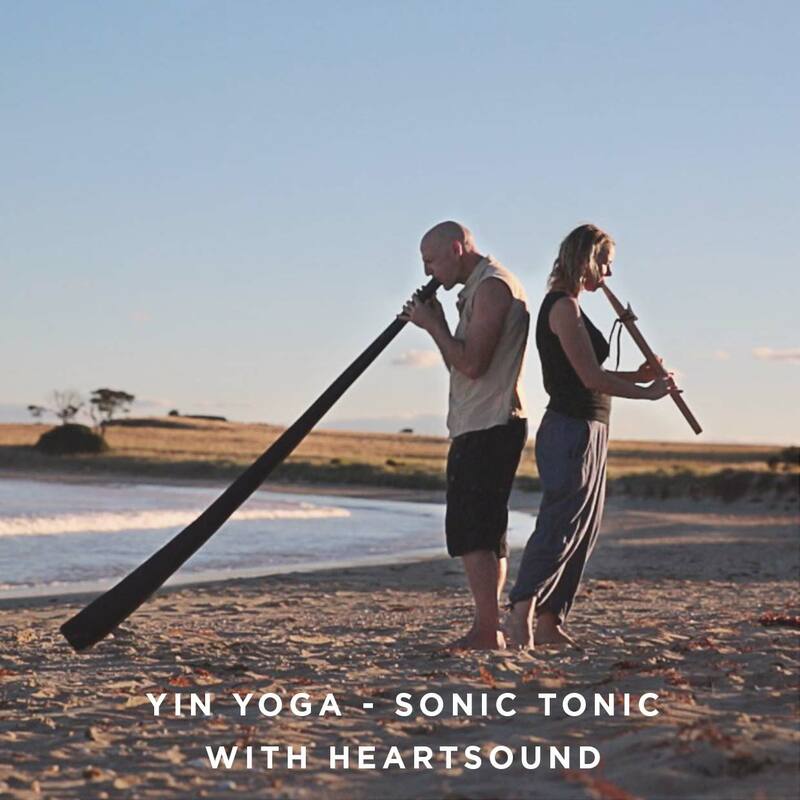 HEARTSOUND is a Sydney based husband and wife team Vanessa Forbes and Steve Mazabow, create original live music for Sound Journeys, Meditation, Sound Healing, Yoga, Kirtan, Conscious Dance, Retreats and Ceremonies. They play an array of sacred instruments – didgeridoo, Mayan temple flute, Native American flute, panpipes, handpan, guitar, vocals and other world instruments. the visionary behind Absolute Soiree – a sold out monthly event held in Sydney. She has performed at numerous festivals and venues including Bhakti Fest USA and Woodford Folk Festival Australia. Steve is a well known didgeridoo player, multi-instrumentalist sound healing practitioner, Yin yoga teacher, kirtan artist and entrepreneur. Steve’s music was recently used by the Australian Climate Council. “To share our combined musical gifts with all those seen and unseen around us. Marissa is a certified AcroYoga, AcroFIT and yoga teacher. She believes that anything is possible and that being upside down truly can change your perspective on life! She’s on a mission to fully and joyfully embrace her own journey, and to support you in living yours. 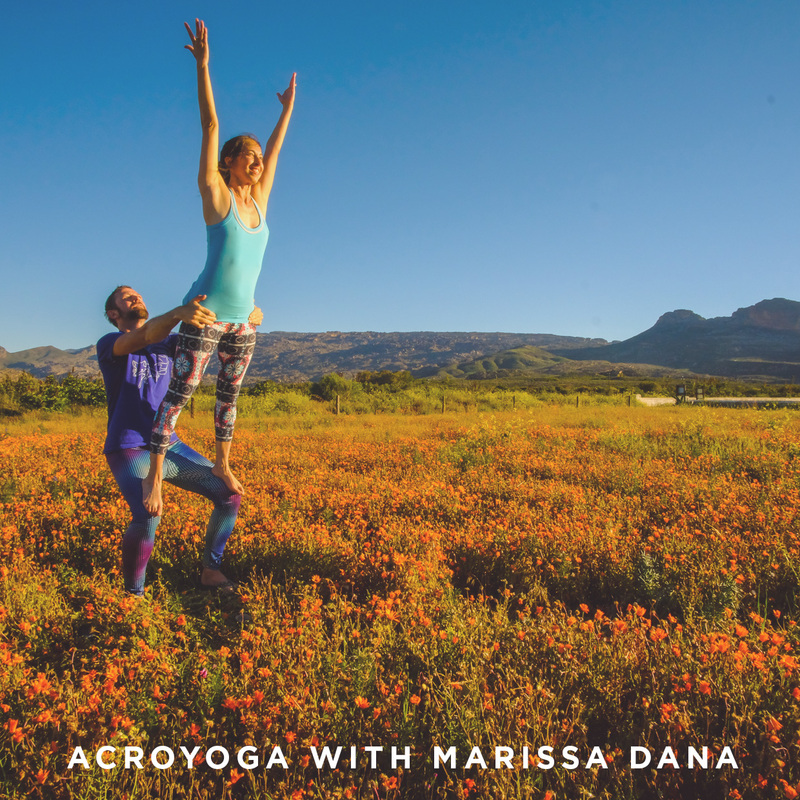 With 8 years of experience teaching AcroYoga, she creates a safe and supported space to move and create together, and through her clear instructions she’ll break down more complex moves into simple steps to help you trust, experience and fly in ways you may not believe possible. An Artist, a Lover, a Mother and a Fool. A tantric practitioner, teacher of Enlightened Sexuality and an Explorer of the Tantric Realms for over 15 years. 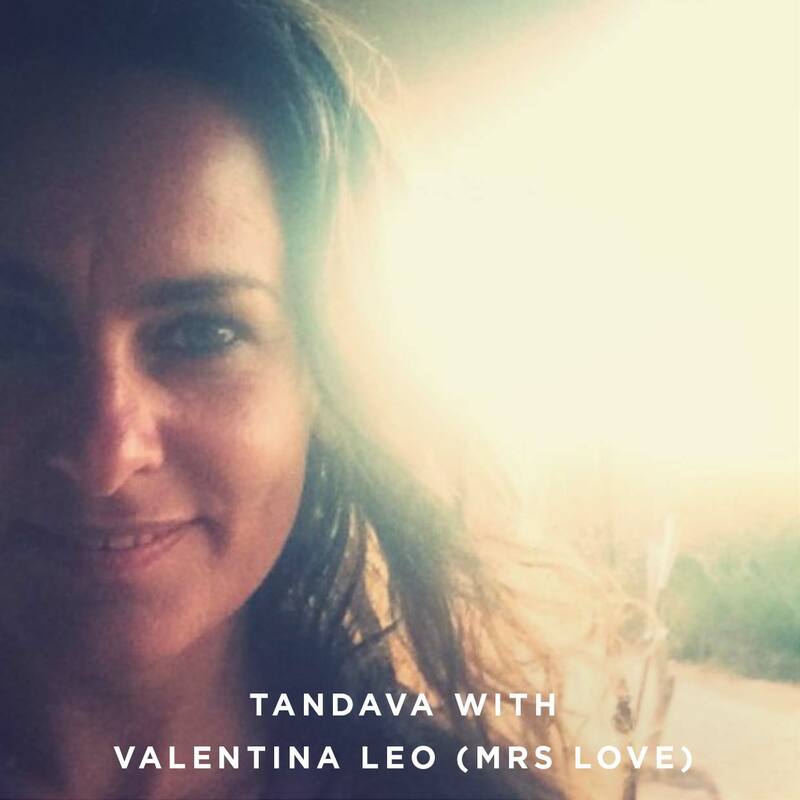 Valentina is an embodied teacher (Dakini) from the Traditional Tantric lineage of Kashmir Shivaism that recognise the body as Vibration , Space and Cosmic Celebration. Valentina is known for her unique talent in creating safe and sacred spaces where seekers of all ages may claim their own Spiritual Eroticism. With grace, charm and humour, she has guided and supported many men and women on their sacred journey towards themselves. From this place Ultimate Freedom can be experienced as the True Essence of Love – which is the HEART of all Tantric teachings. Her deepest desire is to birth a generation of TRUE LOVERS to populate our Beautiful Planet. 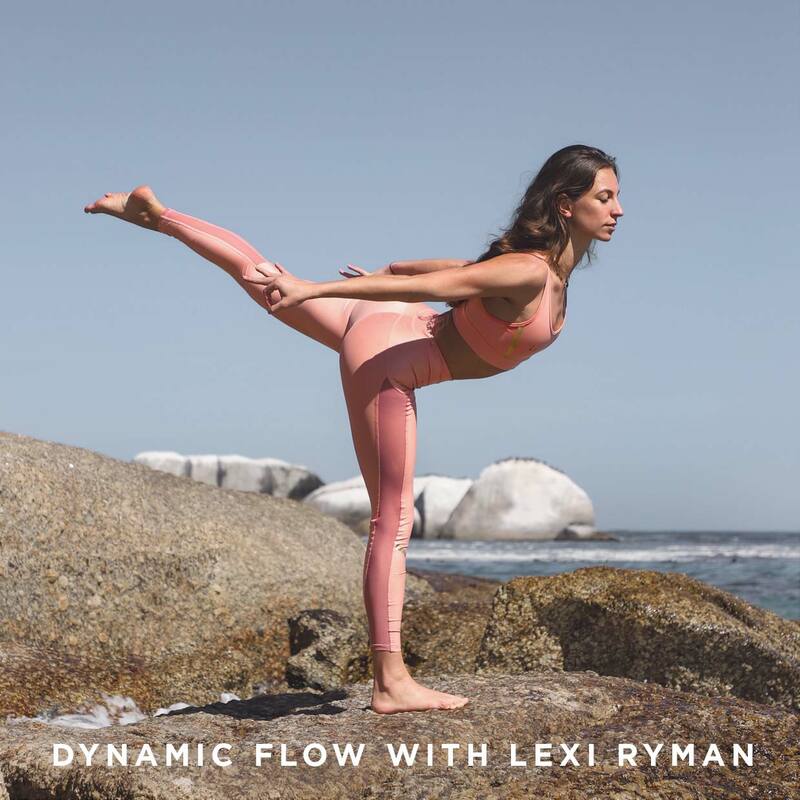 Italian by birth she has been living in Cape Town for over two decades, offering classes, retreats and private sessions. Nicola Rabkin is a cyclical living and business coach. She uses the rhythms of nature to align all aspects of life, from personal to professional, with the divine flow of energy that circulates our planet and our universe. She is also co-founder and facilitator for Hormonal Harmony. 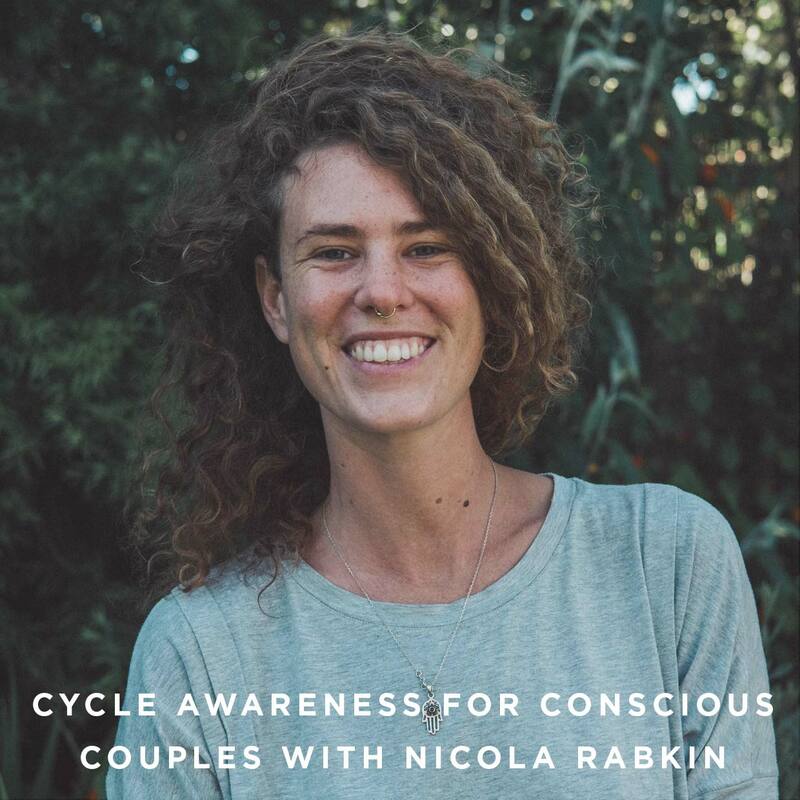 Join us at Retreat Yourself 2019 for a discussion on Cycle Awareness for Conscious Couples. 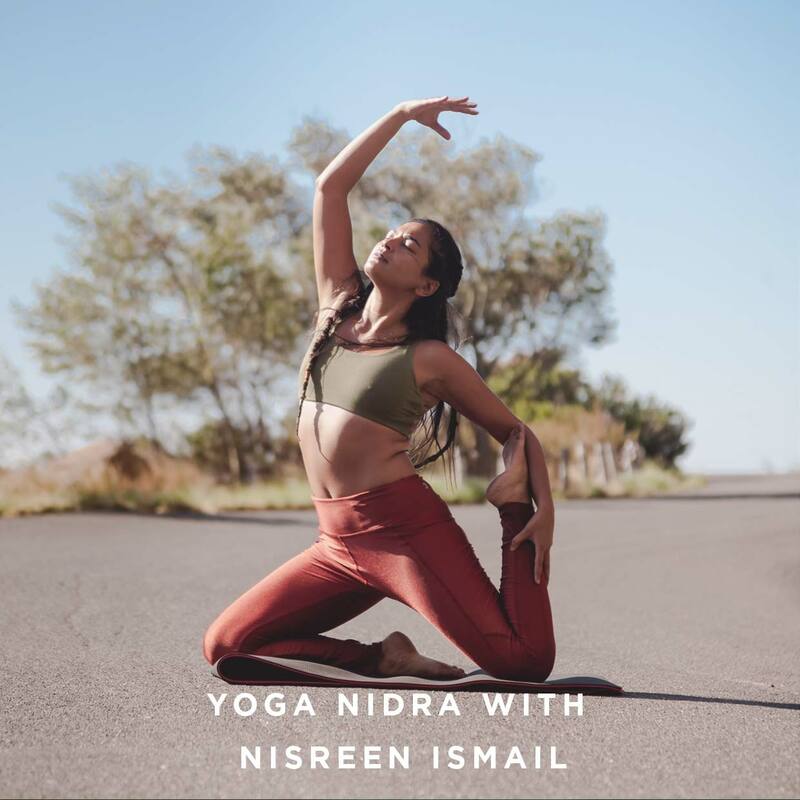 Connect to your breath and your intuition and move your body in a way that honors its needs in a fun, playful and dynamic vinyasa flow. Maylene Corry is a true Warrior Women. She has been practicing yoga since 2003. In 2017 she trained with Jim Harrington and Toni Westwood at Reunion Yoga and Meditation. She went on to qualify in Budokon, a mixed movement art form. Her approach to her classes is to balance the energy between playful movement and creating inner peace. While building strength, flexibility and mobility. She is a Yoga and Budokon Yoga Instructor at the Reunion Yoga and Meditation Studio,founded by Jim Harrington. 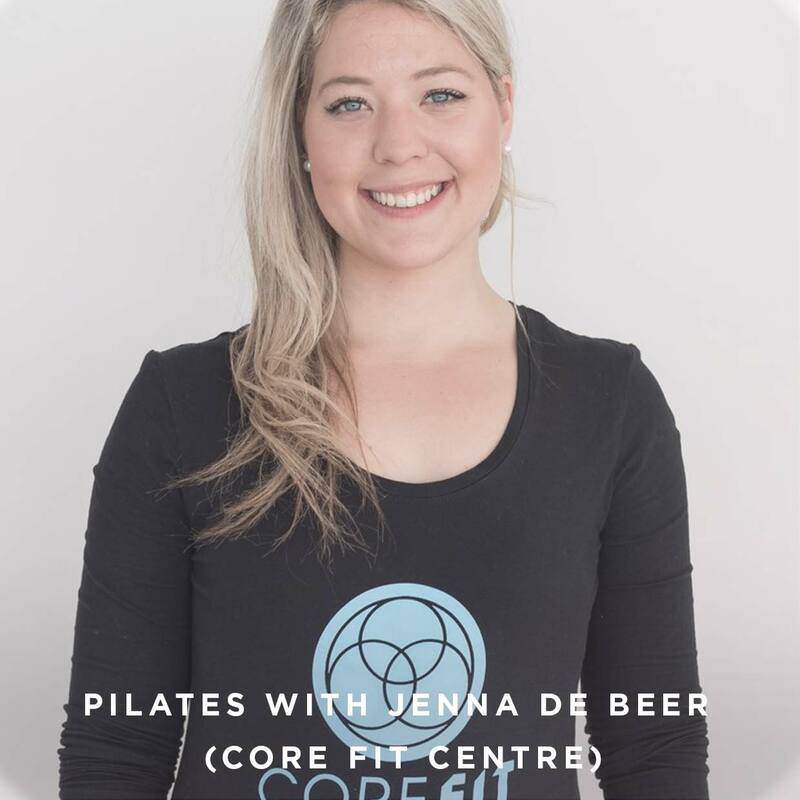 She also instructs at the Virgin Active collection club at the Silo District in the V&A waterfront as well as Claremont Virgin Active. Maylene works with private clients on a one on one base and also group training. James brings a fun and lively approach to her children’s yoga classes. 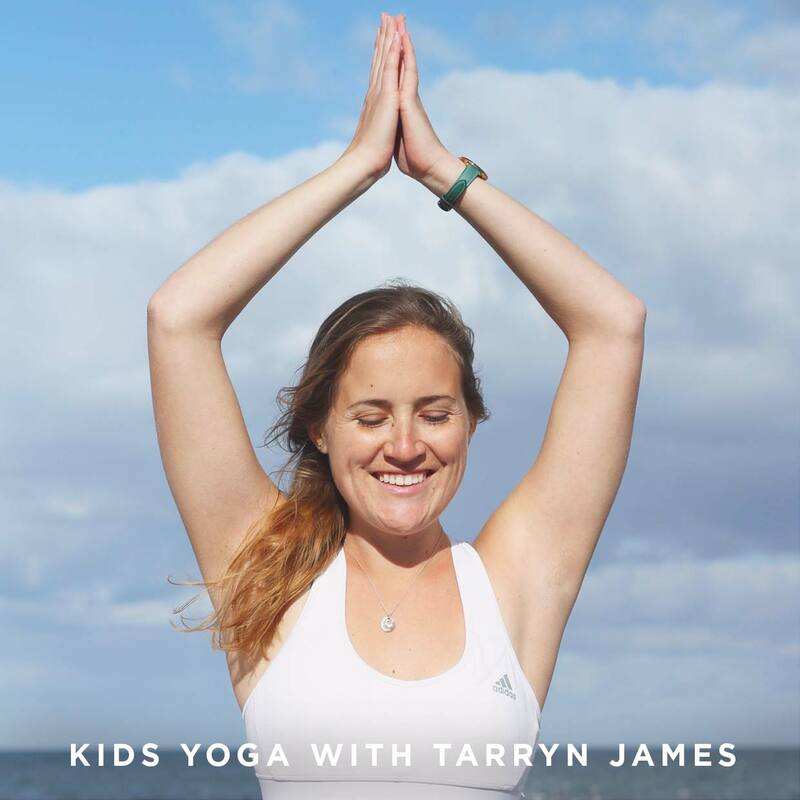 As a qualified Occupational Therapist, Tarryn incorporates a unique combination of playful yoga postures with story telling, visualisation and mindfulness. Tarryn completed her first teacher training in 2016 shortly after graduating from the University of Pretoria in 2015. She is also the creator of Yoga South Africa; an online platform for the promotion of our local yoga community! She looks forward to teaching the kiddies yoga classes at Retreat Yourself! Ilana draws things out of you, you never knew existed. 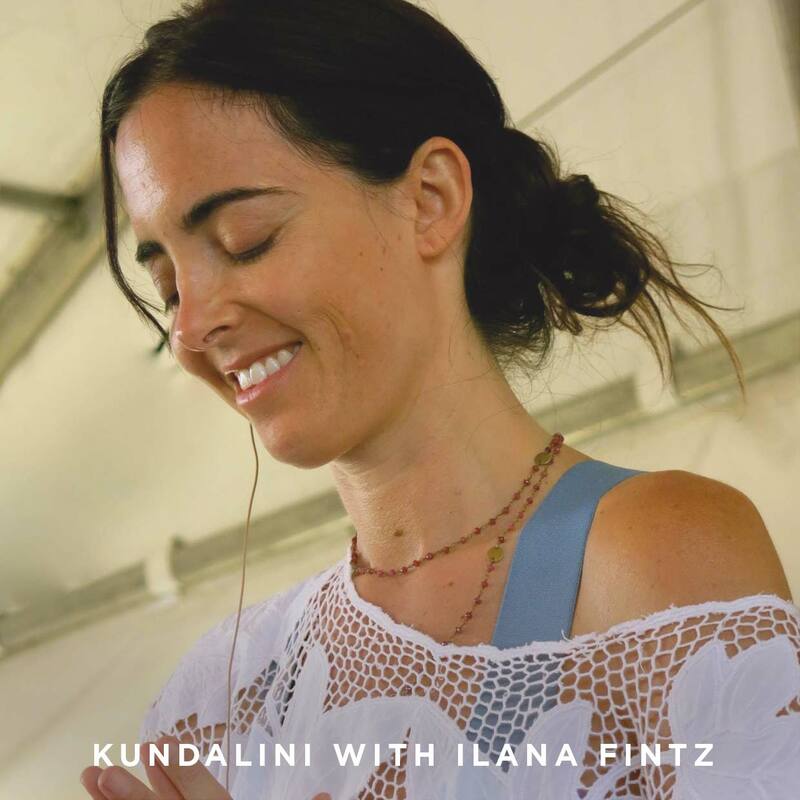 Through her teaching of Kundalini and gift of expression, she guides you through powerful postures, releasing great emotion, tears and laughter. As a child, she intuitively moved in and out of yoga postures, blissfully unaware. 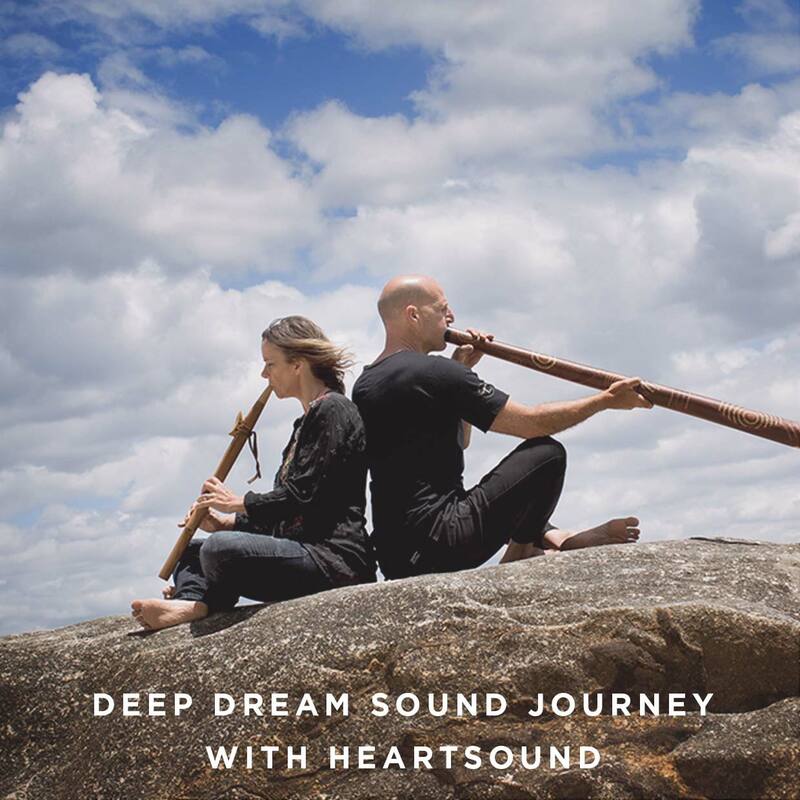 In this special event, we will be journeying into a convergence of two ancient practices: the timeless practice of yin, coupled with the primordial sound of deep droning didgeridoo. As referred to as “The breath of great intent,” this will not just be any ordinary yin session accompanied by music, but rather, in this experiential workshop we will explore the coming together of breath, gentle movement, and the potent power of Intent to create freedom. 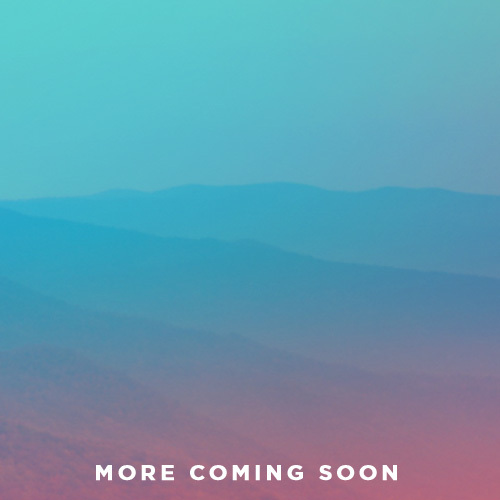 With the intent of traveling into a balanced place of openness, lightness, and freedom, we will chart a lucid course through the body within a yin practice, and we will connect to the vast field of spaciousness as three didge players weave a sound-sphere that is sure to take you deep into bliss. 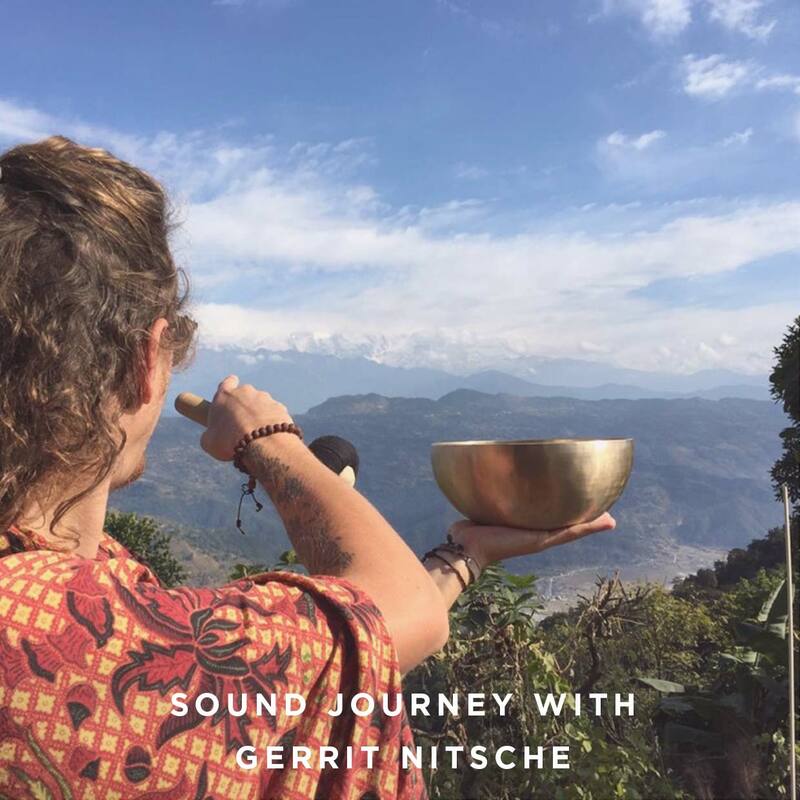 As you set off on your journey, you need no previous experience with either yoga or sound healing, but rather, a simple openness to connect into a space of rest, rejuvenation, and transformation through the power of intent. Join Steve and Vanessa for a journey to be remembered, as we set sail in an ancient and primordial experience. Elsa believes in the transformational power of yoga and meditation and how it positively impacts people’s lives. She completed her 500 hour Teacher Training and Yin Yoga qualification in 2013 at the renowned ISHTA yoga school in New York. The ISHTA philosopy combines the teachings of Hatha, Tantra and Ayurveda and emphasizes finding the yoga that resonates with the individual’s spirit. She also completed her Advanced Teacher Training with Ana Forrest in 2017 and loves teaching the strong Forrest Yoga practice of focusing on breath, strength, integrity and spirit. 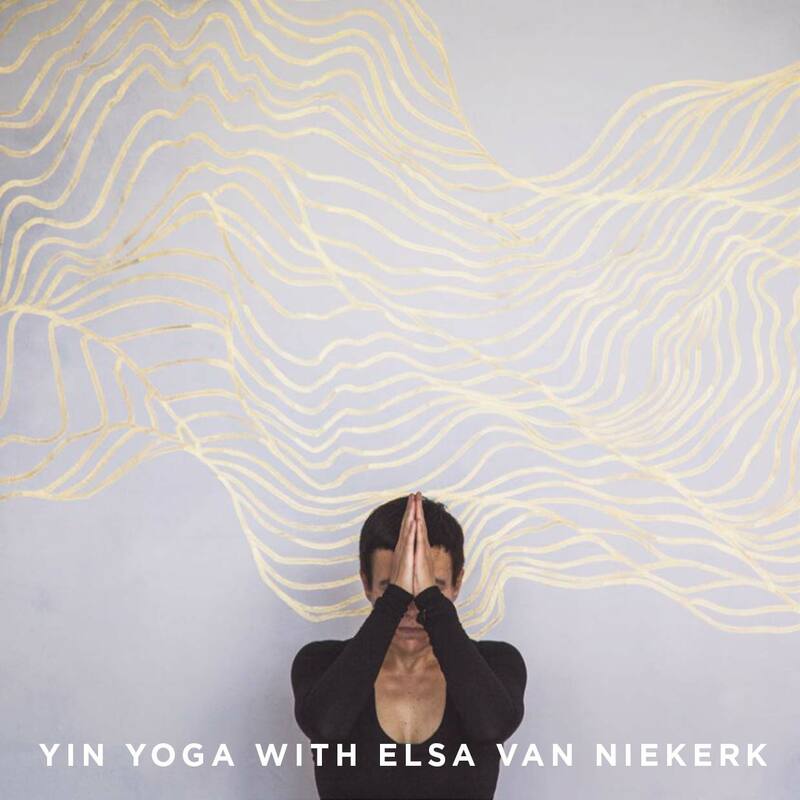 Elsa opened The Yoga Room in Cape Town in 2017. 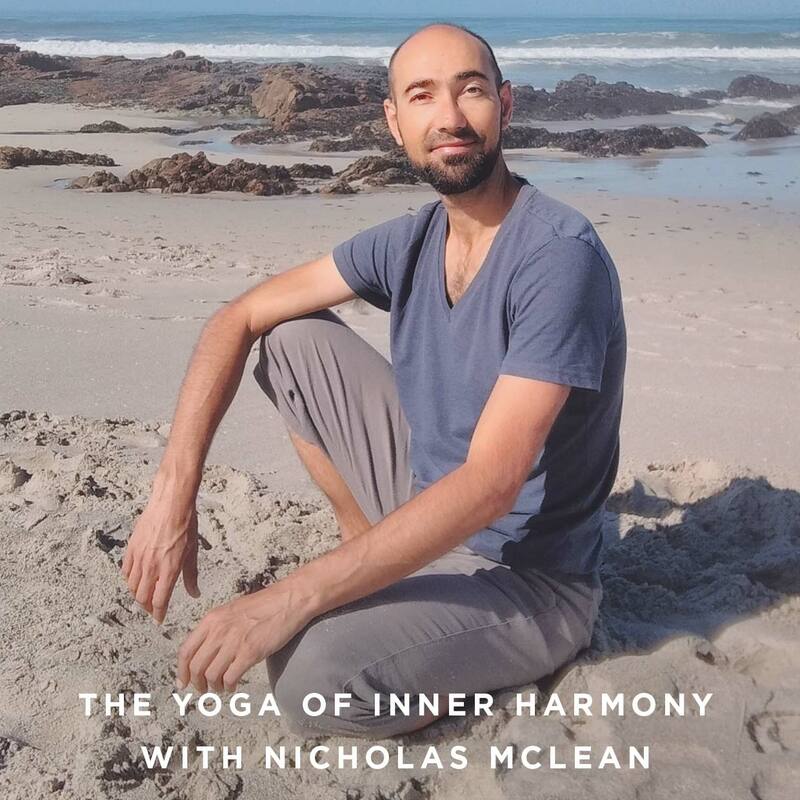 Nicholas, the gut health yogi is a Wellbeing Coach who integrates Nutrition, BodySensing Yoga Therapy and Embodiment Coaching to facilitate transformation and self-healing. He’s best known for his Inner Harmony Cleanse Program focused on gut healing, pain relief and restoring vitality without the overwhelm. Many coaches and nutritionists use food to heal the gut, as a lifestyle mindfulness coach he integrates nutrition with somatic (BodyMind) awareness to holistically address discomfort and elevate wellbeing. 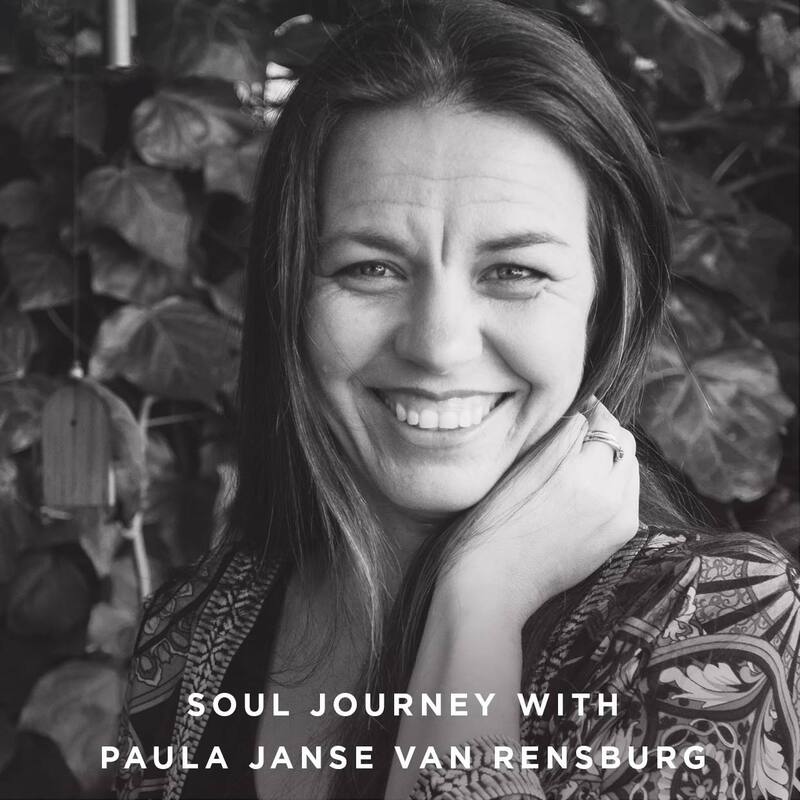 Paula is a Soul and Mindfulness Coach. She guides and support people on their quests for happiness and fulfillment. She leads regular meditation circles and various workshops to help others tap into their own inner peace and happiness. 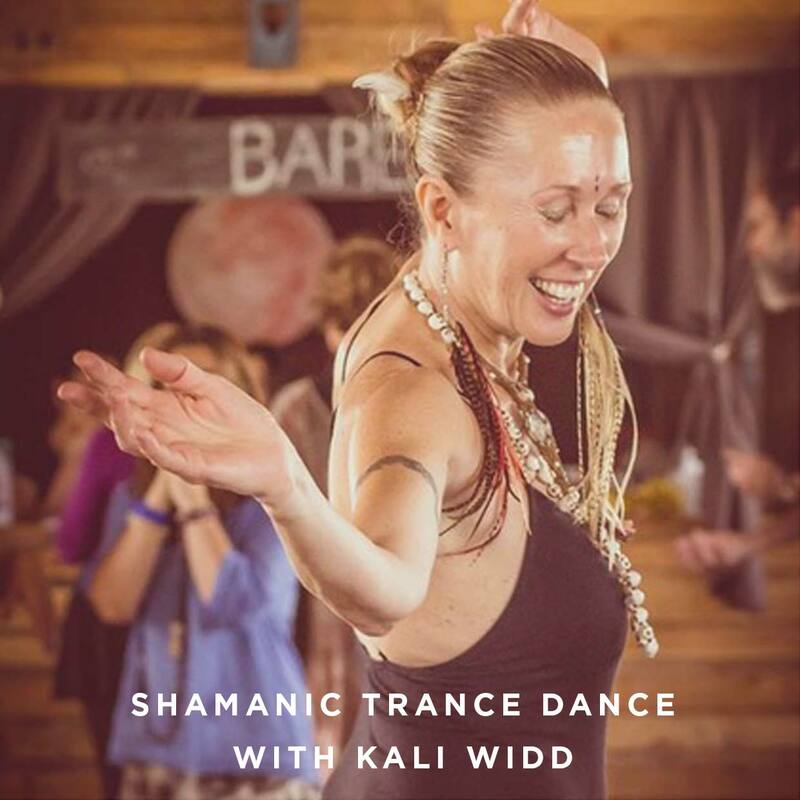 Kali Widd is a Kali is a highly skilled, widely respected facilitator & practitioner of Deeper Dancing, BlissDance, Cuddle Parties™, CosmoForm Meditation, Cacao Ceremonies, Red Tents for Women, & Advait Tantra. Her deep interest is in activating & supporting the truth of who we really are, through gentle enquiry, embodied consciousness, deep meditation practices & shamanic dance journeys. She’s also a renowned DJ – whose music is medicine – having played extensively throughout South Africa, particularly at festivals like SpiritFest, AfrikaBurn & Learning Clan. 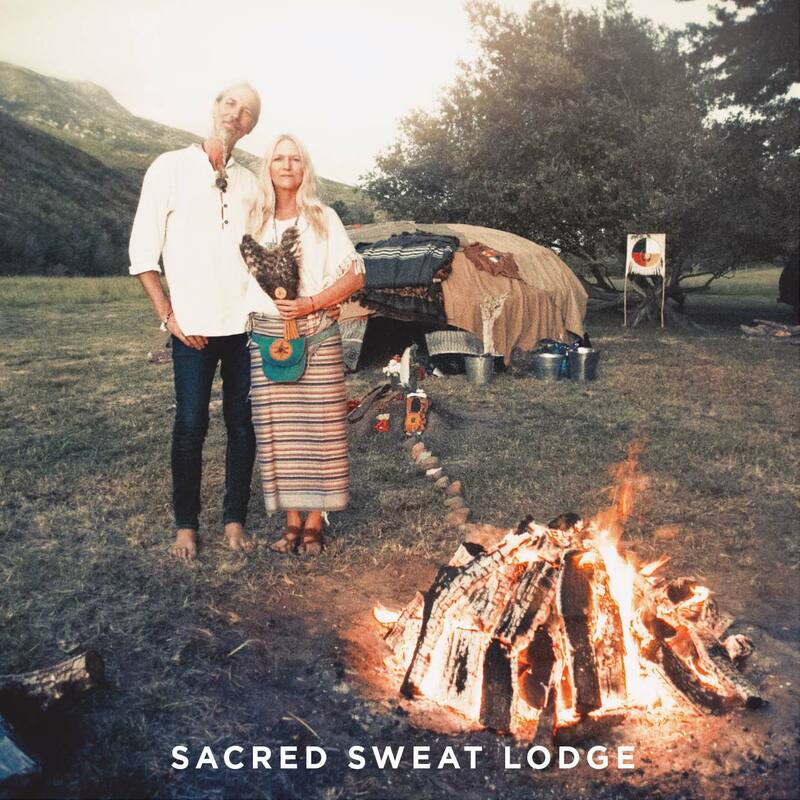 Kali counts herself blessed to have been trained & inspired by some of the world’s leading-edge teachers in embodied awareness, as well as local traditional healers, & devotes her life to the revolution of love that’s needed to re-invent the world anew. Each lodge can accommodate 25 guests and the session is approximately 1.5 – 2 hours. My goal is to deliver creative, inventive and motivating classes which give people a sense of accomplishment whilst also having a bit of fun! Most importantly, to me, is helping people to love their bodies, providing people with the knowledge to look after themselves and teaching people the skills to maintain a healthy lifestyle. Growing up as a competitive dancer I have always loved using my body as an instrument and exploring what the human body is capable of. I also realised that bodies need preparation and maintenance to stay conditioned and avoid injury. Fortunately, I discovered Pilates and realised just how wonderful and beneficial it is to maintain a healthy body. I completed my comprehensive Pilates instructor course because I believe that many people do not realise just how good the body is designed to feel, and I want to help them attain that. I am also an Associate of the Cecchetti ballet method, A.C.B.A C.I.C.B, and an affiliate of the I.S.T.D, London, experienced in ballet, modern and contemporary dance. Simultaneously, I completed a Bachelor of Social Science at UCT. 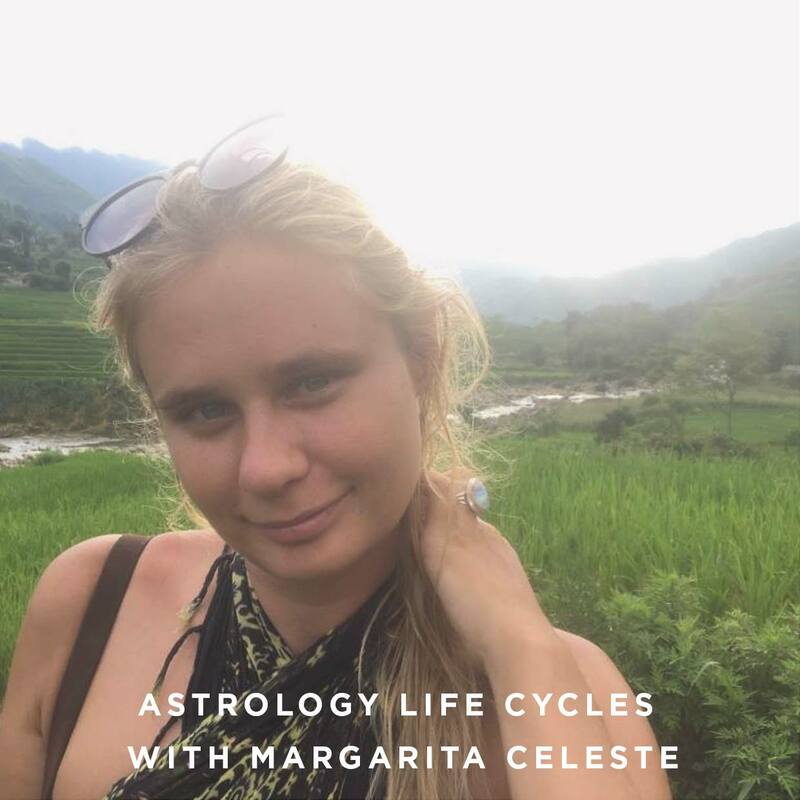 Margarita Celeste is a practicing Traditional Astrologer, who graduated from celebrated Astrologer, Rod Suskin’s School of Astrology, with a distinction after 3 years of formal study. She has always had a passion for the planets and the stars, cited Linda Goodman as her Gateway Drug into the Magical world of Astrology when she was a teenager. Having first studied Vedic (Eastern) Astrology, she decided to make her discipline in Traditional Hellenistic Astrology originating from the ancient Greek world with a little Jungian psychology thrown in. She has taken her Art worldwide on her travels, holding classes and workshops, consultations and talks in various conscious communities, and after some time, felt called to bring the workshops to Cape Town, to the flourishing Spiritual Community. After years of touring through the clubs of Germany, Europe and Asia as a DJ I needed a break from all the noise and high energy dance floors. I went to Nepal to walk the highest mountains of the world in remote and peaceful nature. A monastery and a Nepali brother changed my course from dancing sounds to healing sounds. Nisreen’s journey of self-discovery began almost ten years ago. This led her to travelling the world, learning kung-fu, tai chi, dance and yoga. She is especially passionate about chakra healing, energy cleanses, meditation and ceremonies such as cacao. Her commitment to leading a heart-centred life and the sense of wellbeing it has brought, has compelled her to share the acquired knowledge with others. Led to the path of Ayurvedic philosophy since childhood, Taleszia has been practicing this fundamental lifestyle approach for many years. She is currently studying to be an Ayurvedic lifestyle practitioner with The Institute of Vedic studies, and has experienced many of these benefits first hand. Her company Happy Earth People design products with an Ayurvedic perspective in mind, using guidelines which are harmonious with Nature. 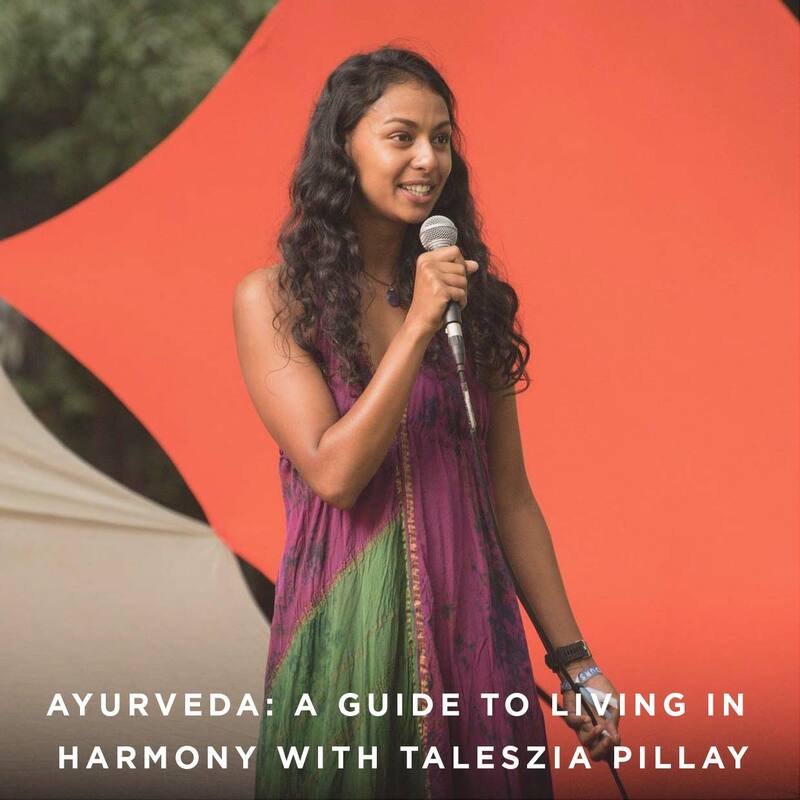 In this particular talk Taleszia will be introducing the Gunas, as well as discussing what it means to live a sattvic lifestyle by eliminating physical, emotional and mental toxins. 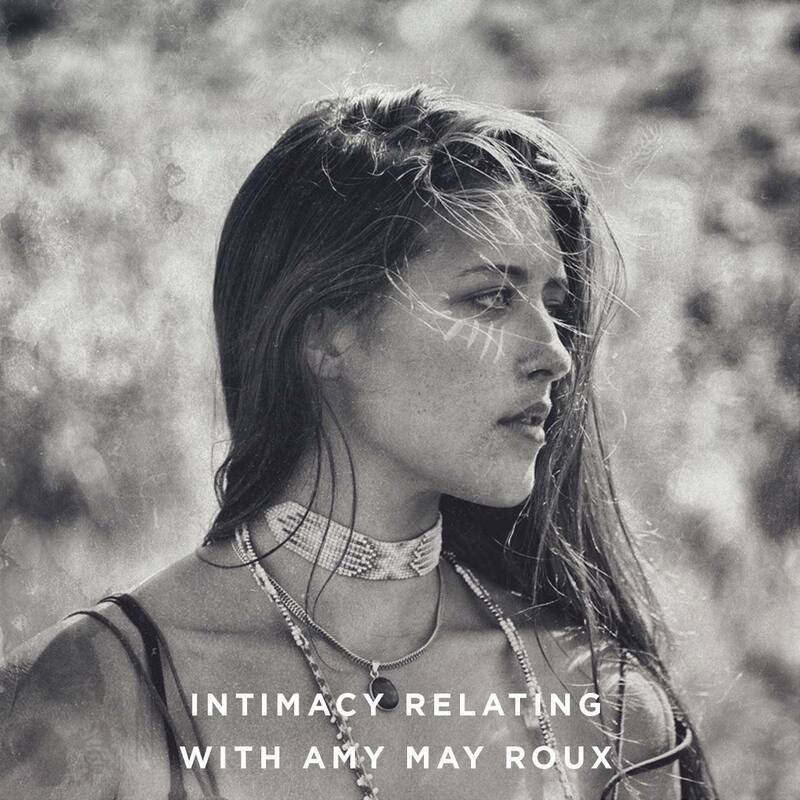 Amy May Roux has been committed to cultivating a deeper connection with herself and her relationship to life since birth, but more consciously since 2011. 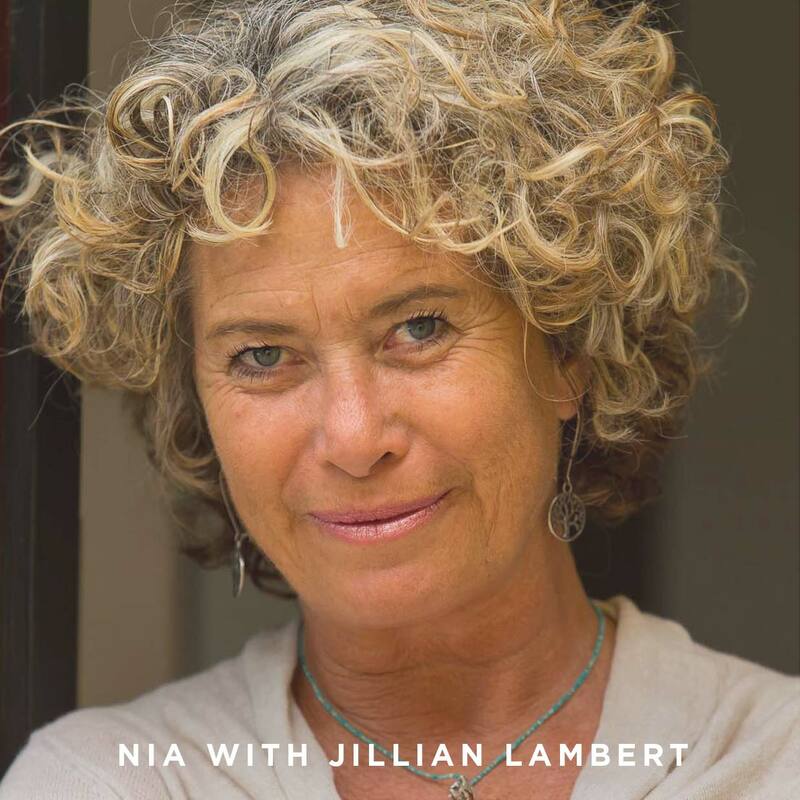 She has been influenced by a variety of teaching modalities from South Africa and America for the past 8 years, but truly found her inspiration and calling when she worked with Dr. Shakti Malan and her offering ’Sexual Awakening for Women’ in 2016. That year Amy did her apprenticeship alongside Juliet Haines, a facilitator of Sexual Awakening for Women for over 9 years, assisting in holding space for women on her retreats and workshops. It was during this time where she felt the inspiration to create a space for women to come together and connect to themselves more deeply and authentically. With this intention in heart, Omni Yoni was founded in 2017 with Vida Sylvia Schiff. It is an organisation dedicated to facilitating circles for men and women to connect with themselves in authenticity, vulnerability and love. Amy continues to expand her knowledge and capacity to hold and support men and women on their journey of self-discovery through dedicated learning in teachings from the likes of Michaela Boehm, Esther Perel, Sasha Cobra, Ajaya Sommers and Kimanami. 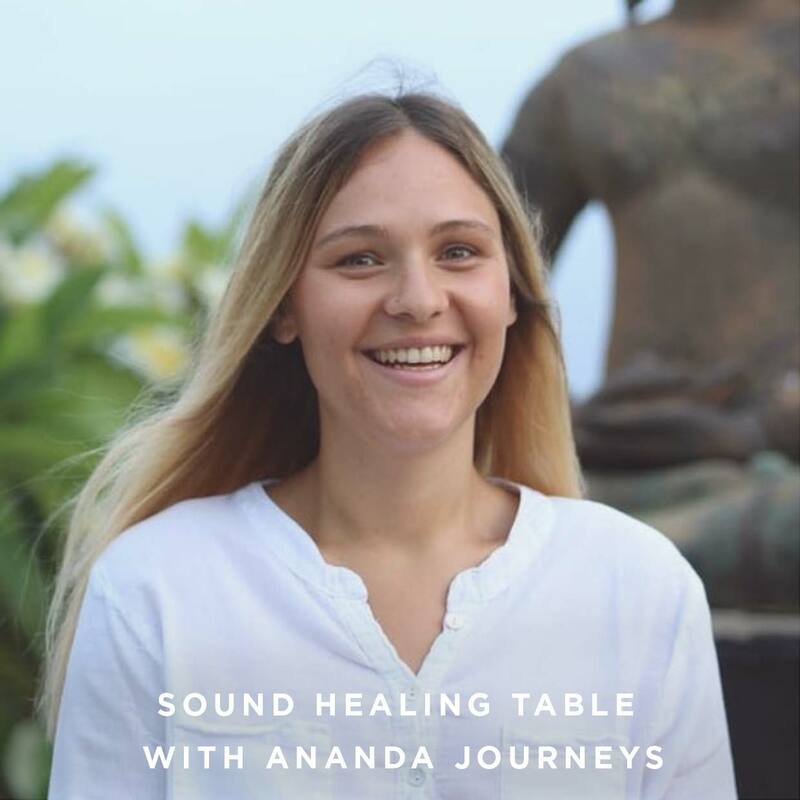 Sound healing is the therapeutic modality of sound frequencies to the body/mind with the result of creating a state of harmony and increased health and wellness. Jenna has created her own style of healing sounds with unique string instruments which create harmonic resonance in the body/mind. She treats individuals and groups and provides transformational experiences which are focused on accelerating healing. 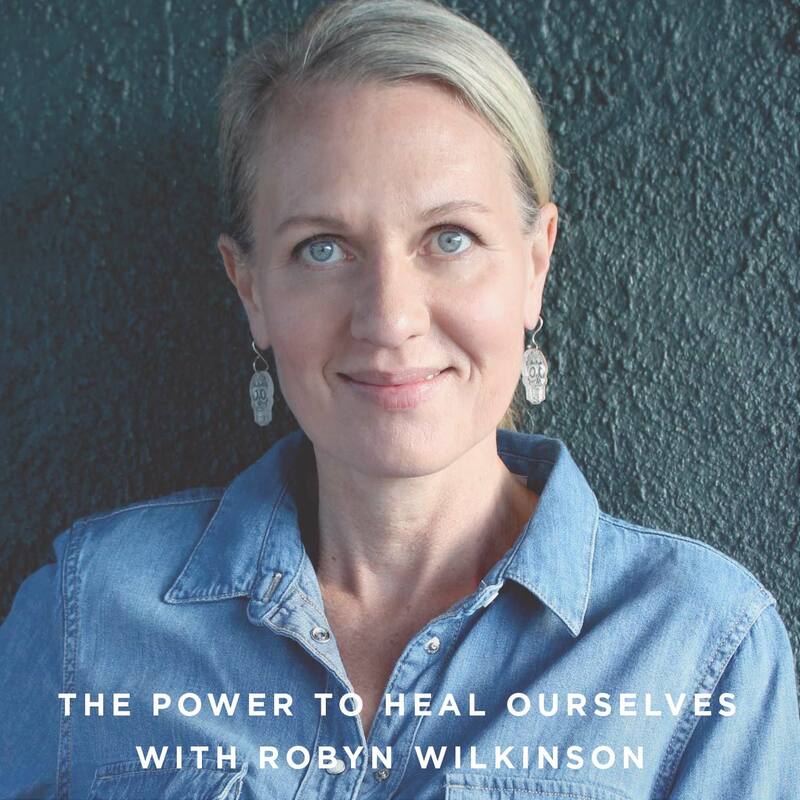 Robyn is the founding member of Holistica magazine and website and previous editor and originator of the custom title ‘Wellness’. Her publishing career started 25 years ago with The Natural Health Directory and Chi Magazine interviewing numerous wellness celebrities from Deepak Chopra to Patrick Holford, Leslie Kenton, John Demartini and more. Since then she has been editor of Soul Purpose published with Longevity magazine and contributed to countless other publications as well as ghost writing many books. She is the author of ‘Bo Kaap – Inside Malay’s Cape Quarter’ (Struik) and served as a judge for three consecutive years on the prestigious Pica awards. Her vision is to make natural health and wellness more accessible to the public globally; to empower practitioners and continue bringing beautiful magazines to life. 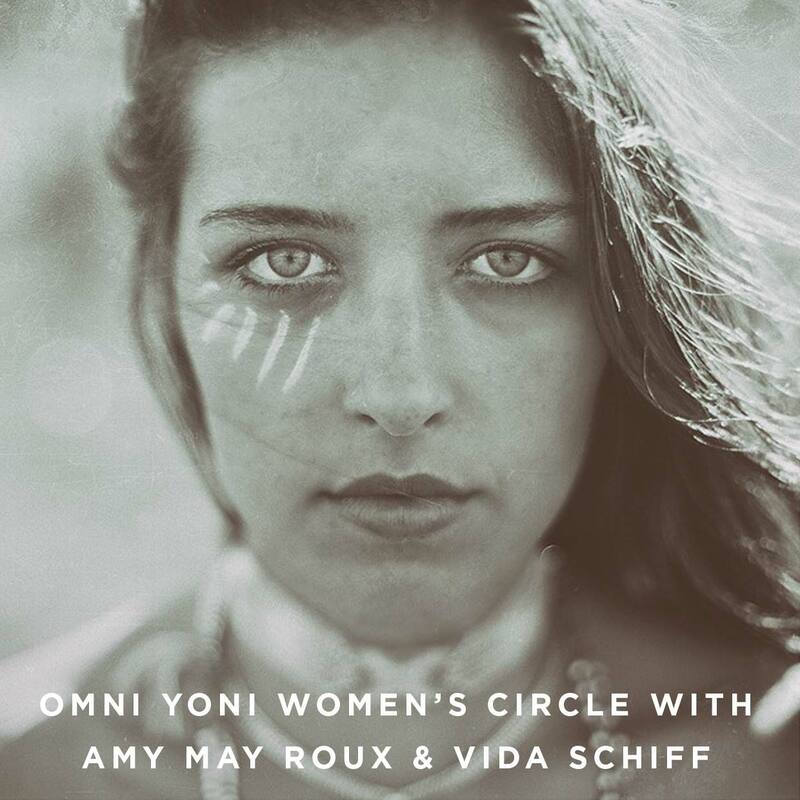 Omni Yoni was founded in 2017 by Amy May Roux and Vida Sylvia Schiff. It is an organisation dedicated to facilitating circles for women to connect with themselves in authenticity, vulnerability and love. 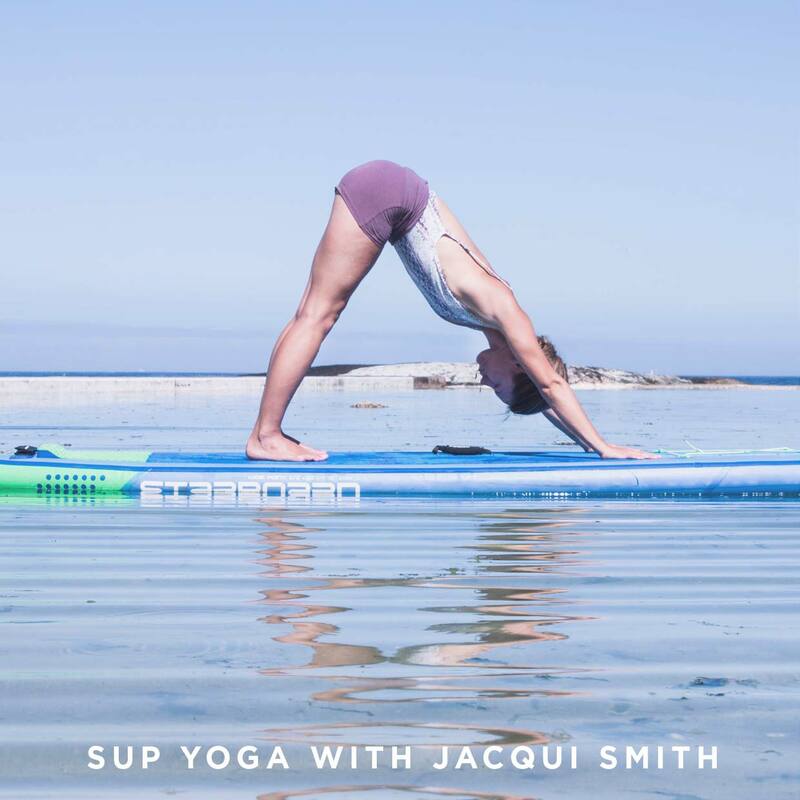 SUP yoga to me is about facing fear through having the courage to fall in, get wet and have a laugh. The only way out the water is to get back on up the board and give it another go. There truly is nothing better than to find one’s balance on this ever changing element. Being on my board out at sea is my happy place and well “Happiness is only real when shared” as Christopher McCandles so brightly said. Secret Sunrise is a global community celebrating life. Headphones are given to you, facilitators guide you. We use music and headset technology to guide participants through an hour of meditation, breath work, movement and dance. The movement has roots in Africa and quickly spread its wings into Cape Town, Johannesburg, Pretoria, Durban, Nelspruit, Port Elizabeth and has established itself on the international scene in London, Amsterdam, Ibiza, Mauritius, Bali and Thailand. 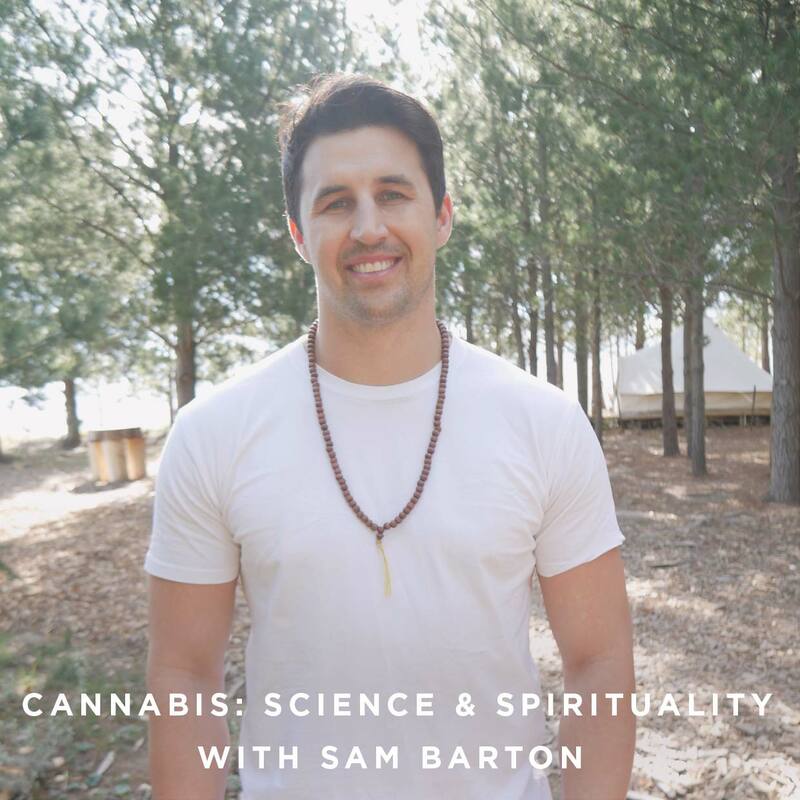 Stand up philosopher, life coach and co founder of CannaYoga – South Africa’s first cannabis & yoga retreat, Sams life is dedicated to exploring the grey area between science and spirituality. “We are at a turning point in human history where ancient knowledge is fusing with modern science”. Join Sam as we discuss the new science of cannabis, the ancient traditions of plant medicine ceremonies and where these two worlds intersect. 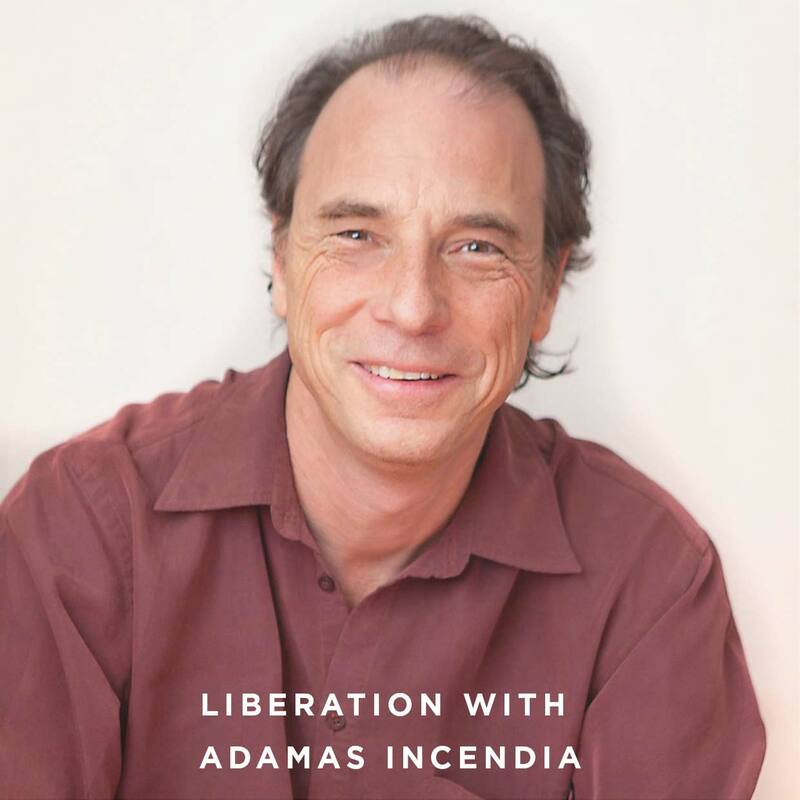 Adam Suzman has been working as a homoeopathic doctor and as an alchemist for the last 20 years experimenting with a range of substances to accelerate the process of liberation. Liberation the remedy is the culmination of this work and represents a powerful and gentle way to navigate the journey back to the self by revisiting a lot of the memories of the past in order to bring them to completion. Liberation the remedy is now in 23 countries and is spreading out in retreat, psychological, shamanic and alternative healing circles as it proves to be a powerful tool to work with the mind for deeper integration of the self. 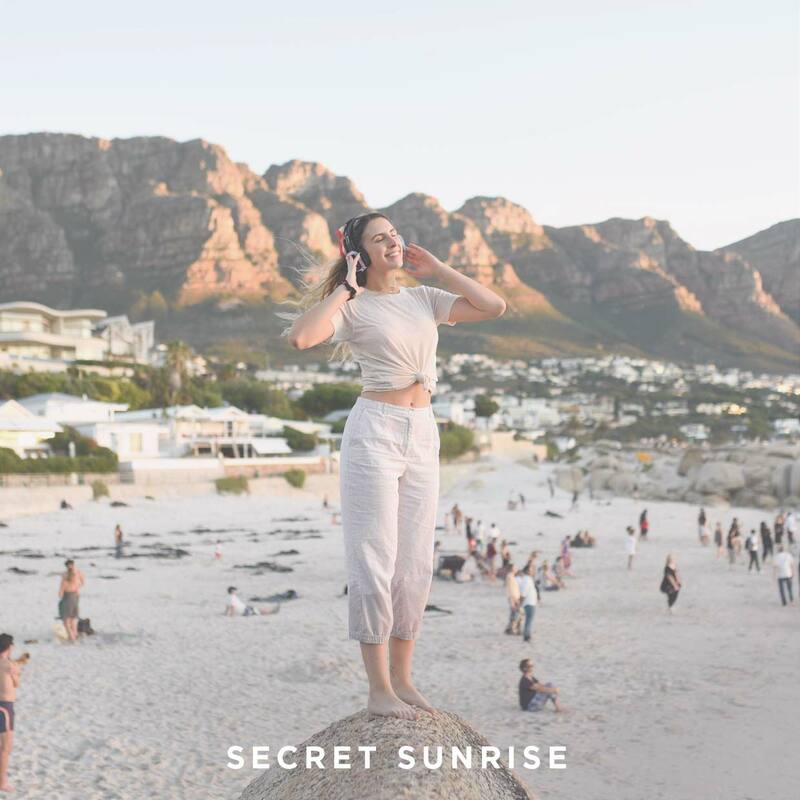 A variety of wellness practitioners, speakers, yogis and pilates instructors from across South Africa will be leading you through your weekend. Beginners to advanced workshops will be offered, ensuring there’s something for everyone.